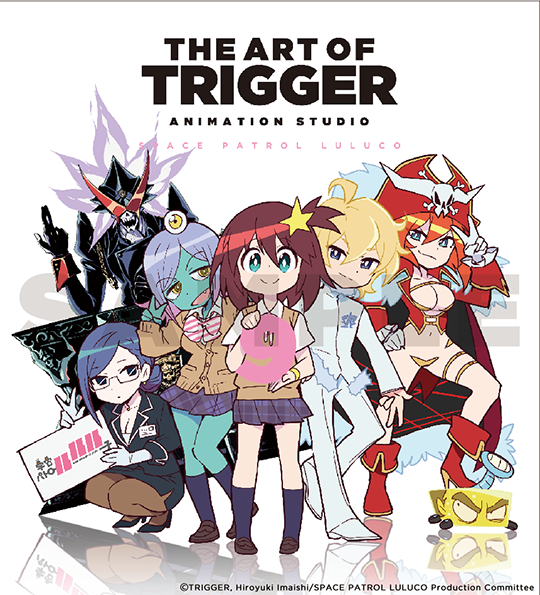 Introducing "The Art of TRIGGER Animation Studio," an all-new art book series created by none other than the TRIGGER animation studio. And here it is - the unforgettable first installment! "Space Patrol Luluco" - The short animation series by director Hiroyuki Imaishi created to commemorate TRIGGER's 5th Anniversary. Luluco, an "extraordinarily normal" junior high school girl who lives with her father in the solar system frontier space colonization zone Ogikubo, where earthlings and aliens coexist, develops a big-bang proportioned crush on handsome and mysterious transfer student ΑΩ Nova. But this regular girl's newly found "invincible first love" may just exceed the bounds of time and space! Includes as much of the precious initial proposal, design sketches, illustrations, character designs, key animation frames, art, copyrighted illustrations, private sketches, concept art, staff commentary, and more as we could possibly fit in, creating a jam-packed volume that gives you a behind the scenes look at a work brimming with TRIGGER brand humor. You won't want to miss the magnificent original illustrations by Kazuya Tsurumaki (Studio Khara), Shigeto Koyama, and Akira Amemiya included at the end, as well as Director Hiroyuki Imaishi's never before seen illustrations of what might happen to Luluco next. * One sticker included per book purchased."